Need help removing an unwanted animal? 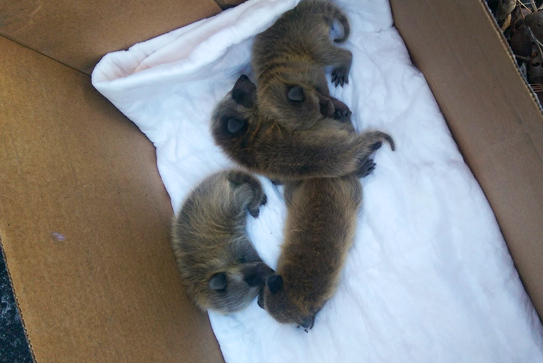 If you're in need of a pest exterminator, look no further than Nuisance Animal Removal in Massachusetts. Our team of experienced professionals provides quality animal removal service for both residential and commercial customers in eastern Massachusetts, Boston, Cape Cod, and Rhode Island. When uninvited animals begin to invade, or even nest on your property, the sooner you call us for assistance, the better. We'll promptly respond to your call for service, and we'll thoroughly inspect and treat your home or business for pests. Our extermination and removal methods are eco-friendly so you don't have to worry about damage to your property, grass, or foliage. Are you now sharing your home with an uninvited family of raccoons? Are squirrels gnawing at your air vents? Has a bat colony made a comfy nest for themselves in your attic? To your discomfort and dismay, these infestations can happen to anyone at any time, including to you and your family or business. 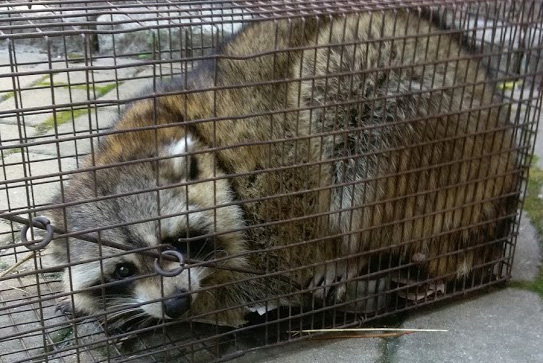 When this happens, you can simply call on Nuisance Animal Removal to take care of all of your unwanted animal problems. 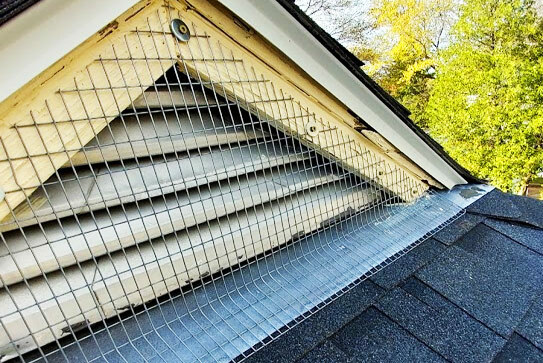 In addition to animal removals and exterminations, we offer attic restorations and repairs as well as waste removal, deodorization, and disinfecting services for Massachusetts homes and businesses. All of our exclusions are backed by a written warranty, and they include the removal, repelling, and humane trapping. 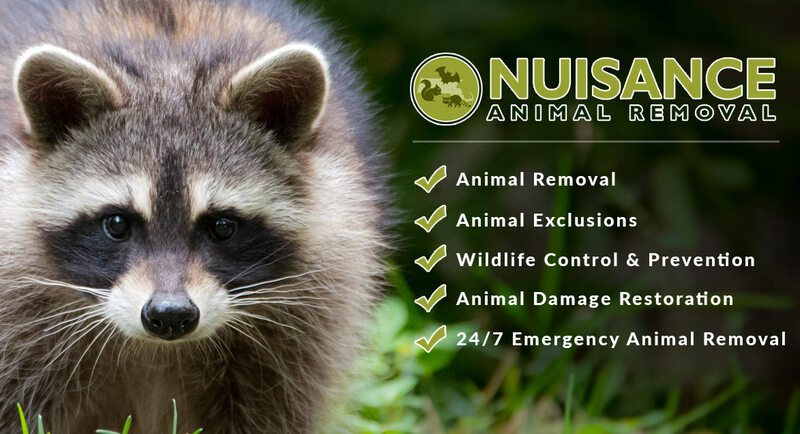 Let Nuisance Animal Removal safely and humanely rid your property of all types of nuisance animals. we will make sure they can't return! We love what we do, we guarantee our work, and we only use humane eco-friendly methods!